This add-on helps a user to log into SuiteCRM with an existing Google ID. No more having to remember yet another new login account. Just click on the "Sign in with Google" button and login right into the CRM. With multiple accounts, it’s difficult for people to remember all of their login information. 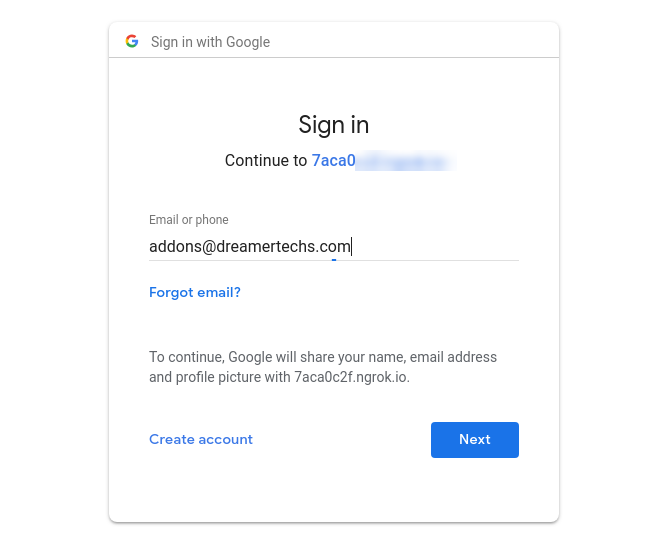 When they use a google login, they don’t have to remember new login information. Users can login SuiteCRM with their gmail id. which is configured in User Profile. 2. Login using Google-id which is saved in your CRM profile. 3. Successfully login into CRM with same Google-ID which is saved in admin user profile. If you are trying with invalid google-id which is not found in SuiteCRM. Google Drive Integration for Suite CRM module uploads all your CRM documents to Google Drive. The user can preview the document, download, and get the shareable link within the CRM. The module provides a one-stop solution for document management with Google Drive.